Island Estates at Hammock Dunes really is an island, with a 24-hour manned guard house and two bridges for access, all with around-the-clock camera security. It is two and a half miles long and less than a half mile wide. Island Estates was created during the Teddy Roosevelt administration in the early 1900s. At that time the Florida East Coast Canal, which frames the east side of the island, was actually the Intracoastal Waterway. With the need to accommodate more traffic as well as larger boats and barges, the “new” Intracoastal Waterway was dug a quarter mile west of the Canal to create the island in the middle we now call Island Estates at Hammock Dunes. We see many boats of all sizes today on a daily basis and even a few barges a week winding their way up or down the Waterway. There are exactly 200 home sites, which vary from around one acre to nearly two acres, and every single lot has waterfront in the back yard. Current homes in Island Estates range in size from 3,000 sq. ft. to over 14,000 sq. ft. The main road is Island Estates Parkway which has a landscaped cul de sac at each end and 8 beautifully landscaped and lighted islands running the length of the Parkway. The effect of the islands and manicured common areas is a neighborhood with space, beauty and privacy. 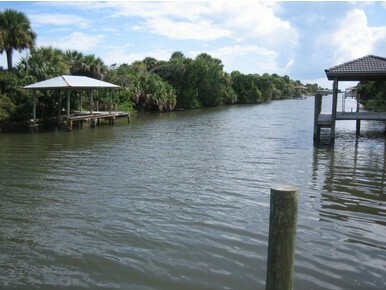 The homes on the west side of Island Estates Parkway have direct Intracoastal access with beautiful sunsets and a constant parade of all type of watercraft. 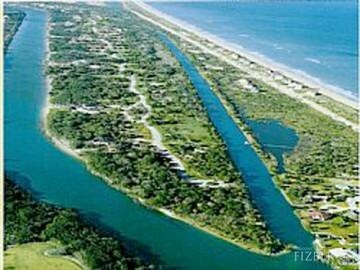 The homes on the east side of the Parkway enjoy the smaller, quieter and very natural Florida East Coast Canal, as well as a second story view of the ocean. The Island Estates Neighborhood Association meets regularly to discuss Island issues and ensure that the Island maintains all aspects of its beautiful, enjoyable and desirable lifestyle. Access control and manicured maintenance of the common areas are two of our highest priorities. 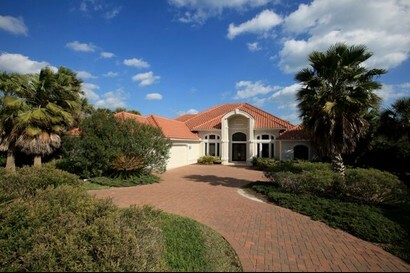 Residents at Island Estates are eligible for membership to the Hammock Dunes Club. Hammock Dunes is a private oceanfront club in Palm Coast that boasts championship award winning and distinctive golf courses by two of the game’s most respected designers. The stunning Rees Jones Creek Course and the legendary oceanfront Tom Fazio designed Links Course each offer world-class golf and sensational clubhouses. 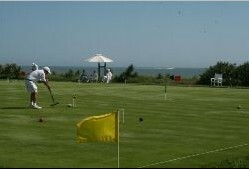 Hammock Dunes Club also offers tennis, bocce, seaside croquet, casual and fine dining on the ocean, and a state of the art fitness center. The equity membership at Hammock Dunes is $90,000 plus annual dues, which range from about $6500/year to $10,000/year depending on level of membership.